John Ashbery, widely regarded as one of the greats of English language poetry over the last half century, died on Sunday 3 September aged 90. 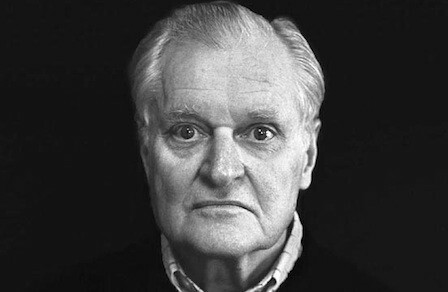 Ashbery was born in Rochester, New York, in 1927 and grew up on an apple farm in the nearby village of Sodus. He wrote his first poem at age 8. His first book, Some Trees, was published in 1956, with a by W.H. Auden and was praised by Frank O’Hara, who likened Ashbery to Wallace Stevens. His 1962 collection, The Tennis Court Oath, was so abstract that many critics had trouble coming to terms with the collection, but his 1966 collection, Rivers and Mountains, was a National Book Award finalist and confirmed his position as a major US poet. This was confirmed when his 1975 collection, Self-Portrait in a Convex Mirror, won the Pulitzer Prize, the National Book Award and the National Book Critics Circle prize. This entry was posted in issue 23, John Ashbery and tagged poetry by Mark Roberts. Bookmark the permalink.